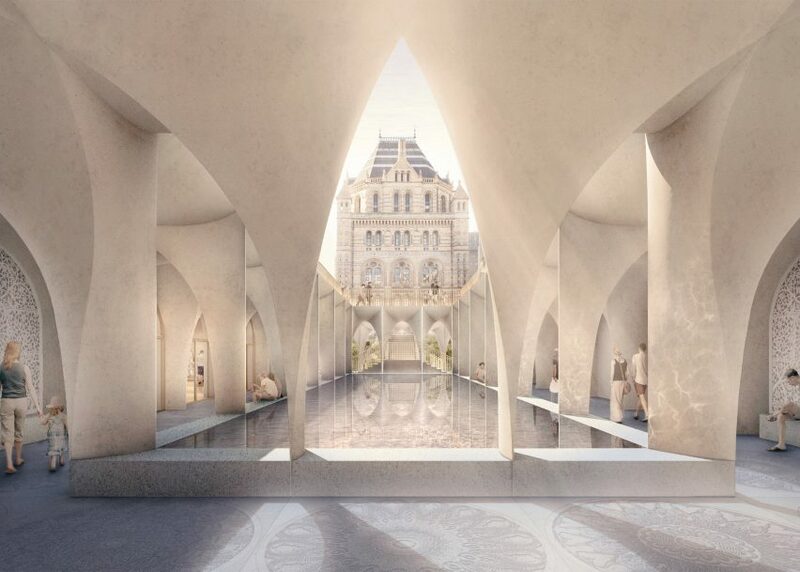 The Natural History Museum in London has won planning permission for a major upgrade of its entrance areas, designed by Niall McLaughlin Architects and landscape firm Kim Wilkie. The plan by the two London-based firms will add a series of new features to the museum's main approach spaces, including a subterranean cloister, a wildlife garden and a public plaza. These additions will transform the way people enter the museum, creating generous new gathering spaces, as well as an improved experience for disabled visitors. "The grounds project will greatly improve access to the museum, reducing queues while turning the currently fragmented outdoor space into a series of open-air galleries that put the living world centre stage for any visit," said Niall McLaughlin Architects. Working in partnership with Kim Wilkie, Niall McLaughlin's firm won a competition for the project back in April 2014. They received planning permission in September 2016, paving the way for construction to begin. The aim is for all of the works to be completed by 2020, as part of the museum's wider development strategy. There will be three new zones in total. The first, called The Square, will address the area where most visitors arrive at the museum, at the junction between Cromwell Road and Exhibition Road. 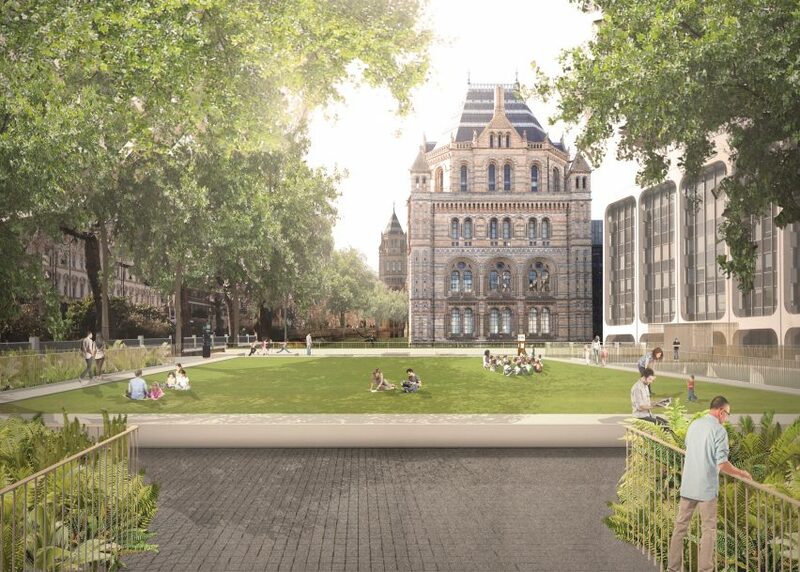 Here, a new square will be located at the same level as the streetscape, while underneath, an open-air cloister will create a new entrance for visitors arriving from South Kensington tube station. 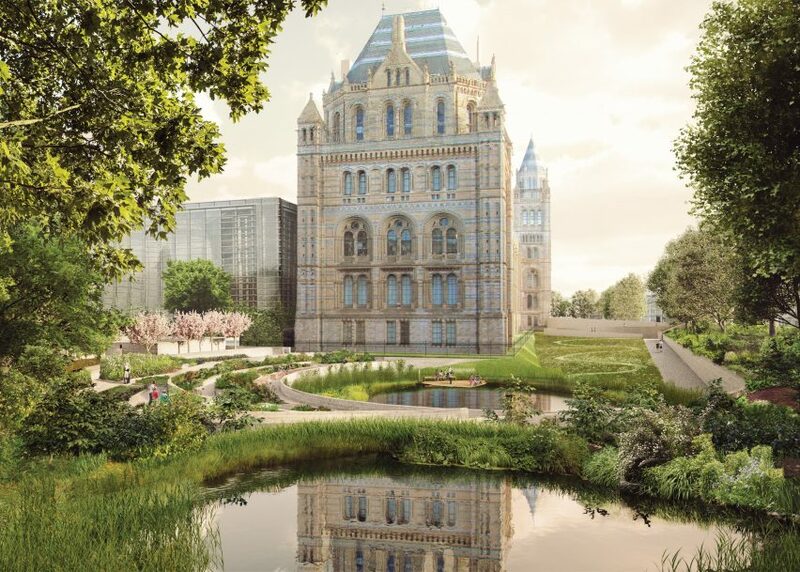 Just beyond, the eastern grounds will be landscaped as "a geological timeline of how life has changed over the incredibly long history of the Earth". 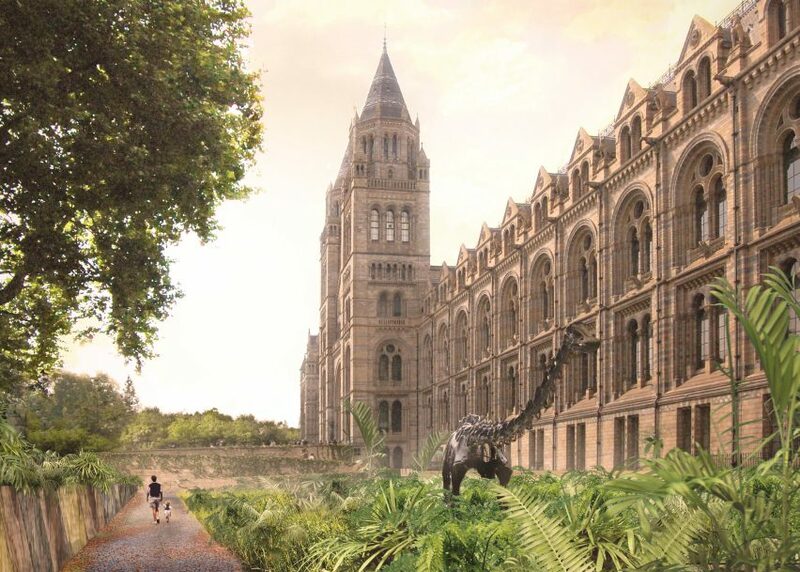 The area will include the bronze cast of a diplodocus – nicknamed Dippy by locals – that has stood inside the museum's entrance hall for the last three decades, but which is about to embark on a tour of the UK. The western grounds will include the new wildlife garden, which will be three times larger than the one there at the moment. The area will be dedicated to plants and animals that thrive in cities. "Together, [the three zones] will form a living connection between the natural world and the collections and research inside the museum," said the architects. Originally from Dublin, Niall McLaughlin founded his London studio in 1990, and has completed projects ranging from an elliptical stone chapel to a wooden fisherman's hut. He follows a couple of other established architects to have worked on the Grade I-listed Natural History Museum – a romanesque building designed in the late 19th century by architect Alfred Waterhouse. In 2009, Danish firm CF Møller completed the Darwin Centre, which houses the museum's historic collections and its working scientists. Two years later, London studio Carmody Groarke installed a memorial in the grounds, paying tribute to the victims of the 2004 Indian Ocean Tsunami.